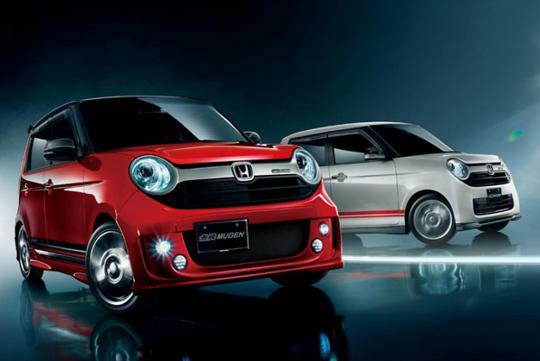 Just a couple of months ago, leaked brochure images of the Honda N-One car began to appear all over the world wide web. And recently, Honda dealers all over Japan have begun selling the car. 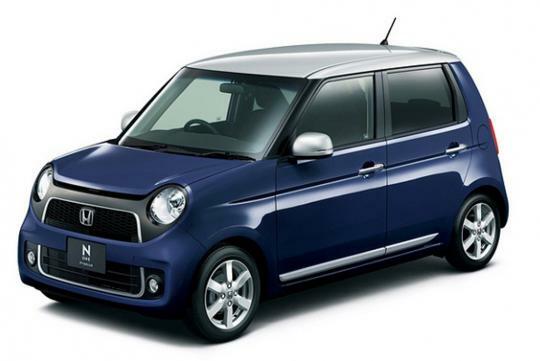 Now, the guys at Mugen Motorsports have unveiled exterior and interior parts for Honda�s newest kei car. The exterior of the N-One Mugen receives a sporty looking bodykit. The front end of the car has been revised with a unique front grille and LED fog lamps. The rear end has been restyled to fit a dual, centre mounted exhaust system. The company also offers buyers with three new wheel designs and a sportier suspension system. However, the engine and transmission is left untouched. In the interior department, the N-One Mugen is fitted with colour matching door panels, a red coloured engine start button a boost gauge (for turbo models only) and brushed aluminium floor pedals. Honda has just started offering the 660cc N-One in Japan and it comes in two sub models, a naturally aspirated model and a premium model which is turbocharged. Both comes with continuously variable transmission and features either front wheel drive or all wheel drive. Buyers can choose LED lighting for the interior lights and also a two tone paint job for the body. Xenon headlights comes as a standard for all cars and the rear seats can be folded flat to maximise interior space. Pricing starts from 1.1 million yen to 1.7 million yen for the top grade model. Some say that his blood is actually RON98 petrol and some say that his right foot weighs over 20kg. But all that we know about Faez is that he loves to drive and is a JDM enthusiast.